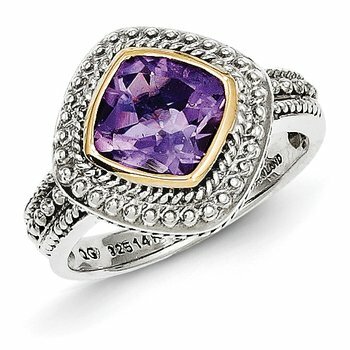 Hold her close and slip this adorable diamond semi-mount ring on her finger. 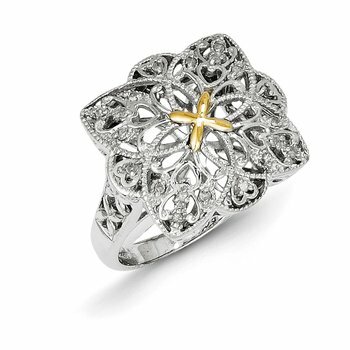 This brilliant ring showcases a sparkling row of 20 round cut diamonds, elegantly prong set in luminous 14 karat white gold. 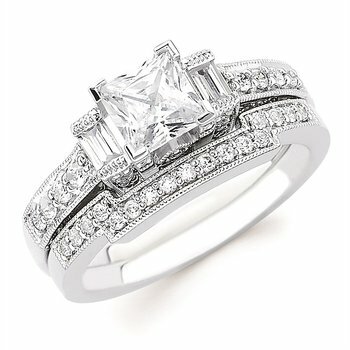 This ring is designed to frame your choice of center stone ranging from 0.40 carat to 0.60 carat. Total diamond weight is 1/4 ctw.